In 1892, the United States first minted Columbian Exposition silver half dollars to commemorate the 400th anniversary of Christopher Columbus’ voyage to the Americas. 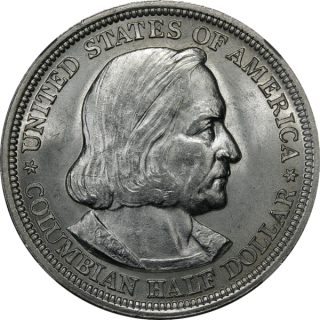 The Columbian half dollar was struck in 1892 and 1893 and was sold for $1 as a souvenir at the World’s Fair in Chicago. 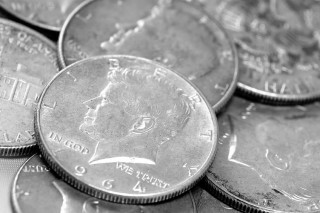 Over the course of two years, some 5 million pieces were struck, with 950,000 dated 1892 and the remainder made in 1893.